The image is clearly scaled up from a much smaller one, so the watches are grainy and don't have much detail. The smaller of the two (the LG Watch Style) appears to use standard lugs and has a somewhat feminine appearance. The pronounced crown button could be large enough to act as a digital crown, as we heard in that last leak. The same is true of the larger LG Watch Sport. This one has three buttons with the larger one in the middle. The lugs are heavier here and might require a non-standard band. They're a good match for our renders. The Style is said to have a 1.2-inch display, while the Sport will be 1.38-inches. The Sport also has NFC, cellular data, and IP68. The Style is only IP67. Last we heard, the official unveiling would be on February 9th. 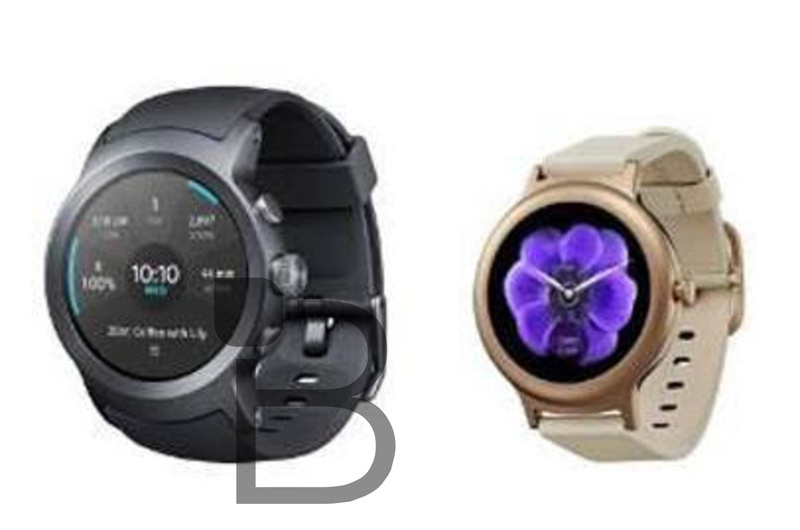 Famed leaker @evleaks has published pictures of the smaller LG Watch Style in both silver and rose gold colors. They reveal the previously-mentioned silver variant of the Style and confirm its model number of LG-W270.